While most urban TMCs are focused on congestion relief and incident management, rural TMCs are dominated by weather, winter operations and non-recurring events such as wildfires. In the rural environment, extremes in climate, remote locations and a lack of communication services make gathering real-time field information challenging. Caltrans, District 2 has hosted a full service Rural TMC since 2000. With over 220 associated field elements, many practical implementation and design lessons have been learned. 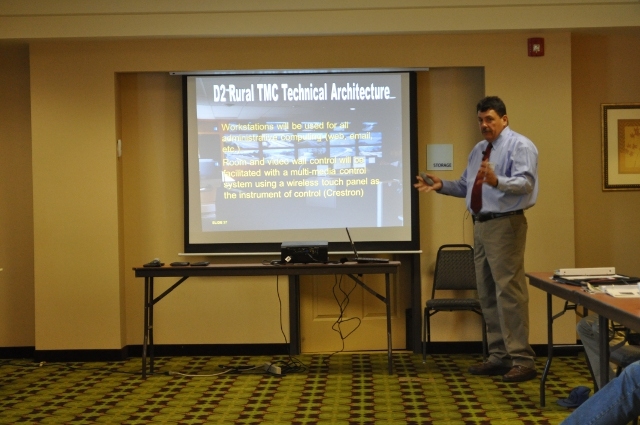 Mr. Turnbull gave an overview of the technical architecture of the Rural TMC in Redding and Mr. Pearce discussed in detail the architecture and configuration of the associated Internet Protocol Field Element Network (FEN). 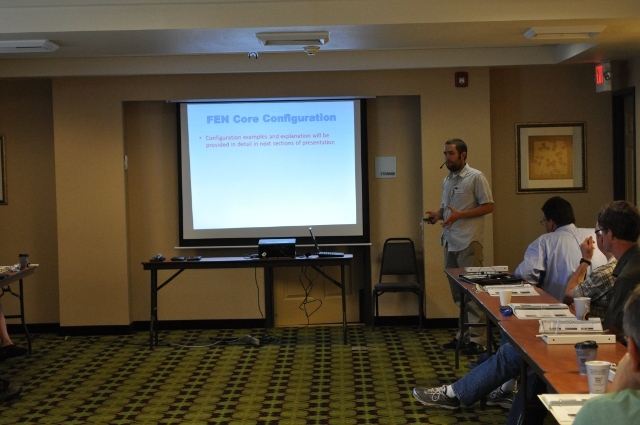 The presentation focused on the details of implementing a FEN in a challenging rural environment. 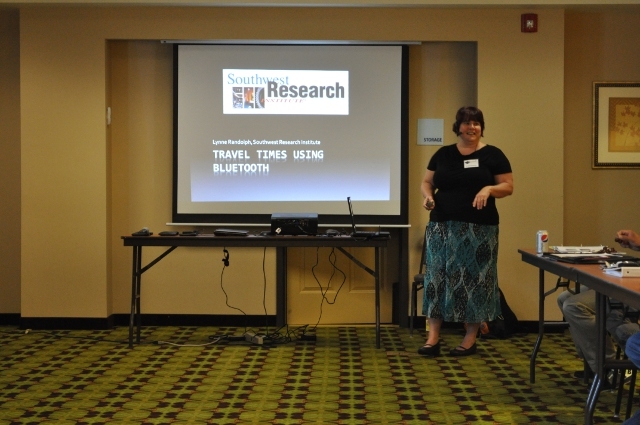 Ms. Randolph and her team from the Southwest Research Institute in San Antonio, Texas, investigated potential issues with Bluetooth technology used for the purpose of traveler information, including the capabilities of various Bluetooth devices, adapters, and range extending antennas. She presented the detailed findings of the research concerning such questions as validating whether an adequate number of data points can be gathered from devices at high speeds and what mode a device must be in to read a signal. Based on the results of her research, Ms. Randolph provided recommendations and lessons learned for potential deployers of Bluetooth technology used for determining travel times. The One-Stop-Shop (OSS) web application provides travelers with comprehensive, real-time data that can be used in planning their trips. 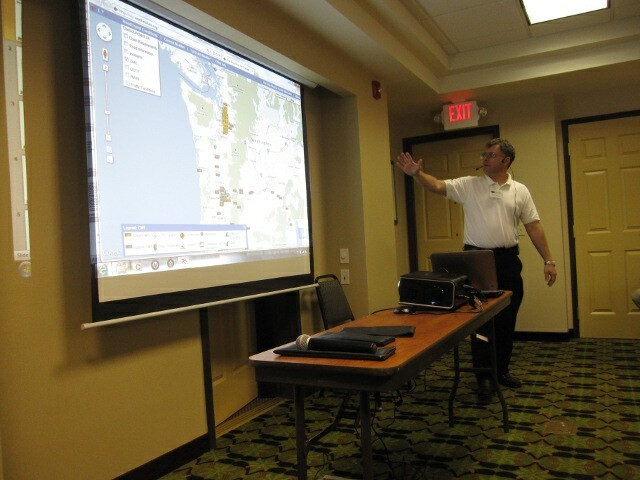 Currently covering California, Oregon, Washington and Nevada, OSS presents routing functionality, camera images, weather information, elevation profiles, rest areas, points of interest and more, in a consistent, easily accessible and intuitive interface that allows travelers to plan instate trips as well as trips that cross state borders. OSS brings in data from four states and ten different organizations, providing over 25 separate layers. 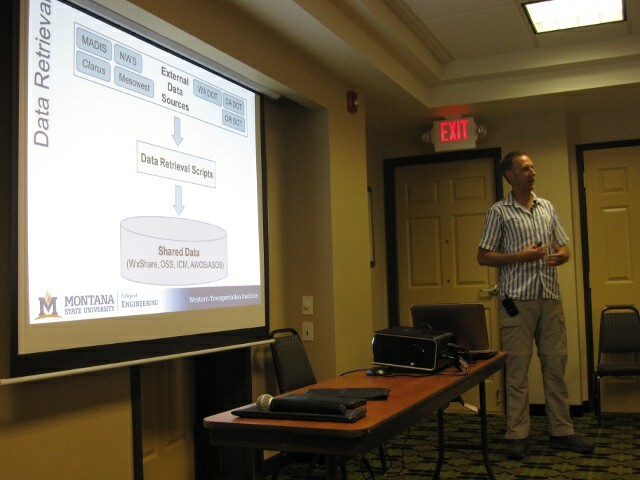 The WTI project team, including Doug Galarus and Dan Richter, discussed the technical challenges of managing the import and presentation of the various data, the architecture of OSS including both client-side and server-side implementation details, and the prospect of expansion to additional western states. 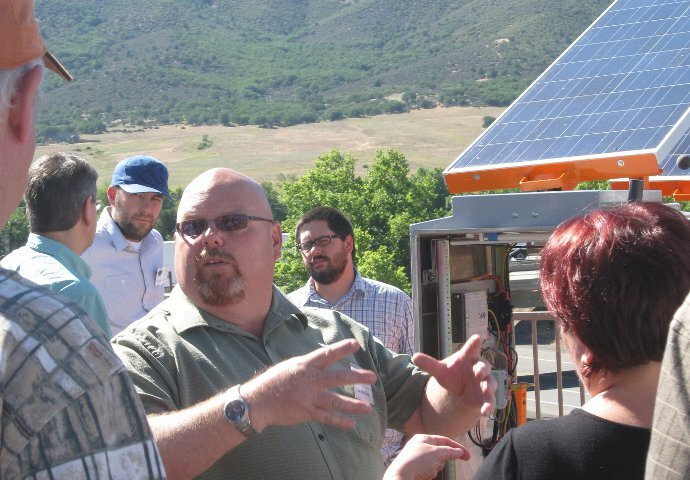 After seeing WTI/MSU’s Portable ITS Trailer and Communications demonstration at the 2008 Western States Forum, the Nevada DOT developed a similar mobile ITS hotspot trailer. NDOT recognized the portable ITS hotspot trailer as a valuable asset for construction zones, special events, and even emergency situations. Mr. Dickinson and Mr. Aragon, along with Jim Whalen, discussed how the trailers were originally procured and the modifications that have since been made for a second group of trailers. 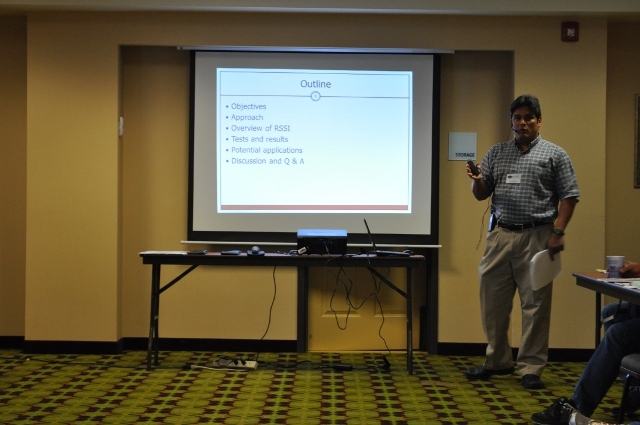 The NDOT team had a trailer onsite at the Forum and demonstrated its capabilities during their presentation. 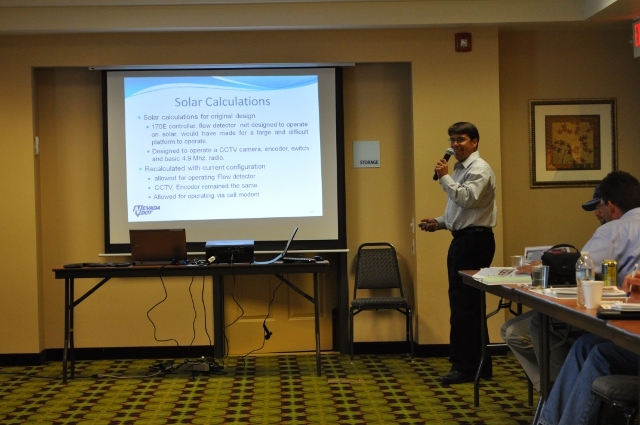 Forum participants were able to get a close-up look at the trailer components and configuration. Within the past several years, Bluetooth technology has been utilized as the foundation for wireless data collection systems created to collect travel time data. In these systems, the MAC address of an enabled Bluetooth device present in a vehicle is used as an identifier that can be detected by Bluetooth data collection units installed at various locations along a road or highway. If signal strength (RSSI) is also measured at the same time the MAC address is read, the point location of the Bluetooth device can be identified with acceptable accuracy. 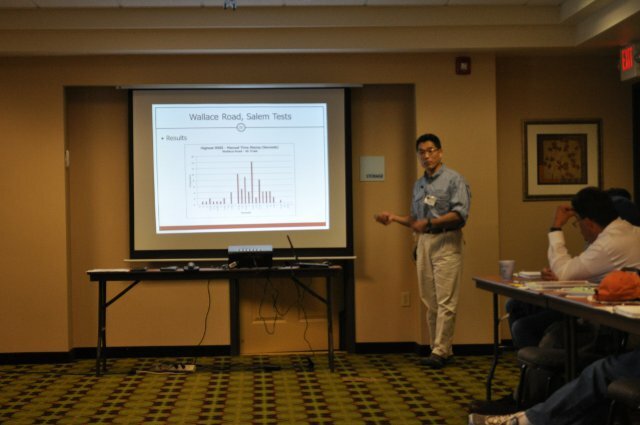 Dr. Porter and Dr. Kim from Oregon State University presented their research on this technology, including objectives, research approach, an overview of RSSI and related topics, along with the tests and results of the project. They discussed potential transportation applications for the technology such as data collection for intersection performance, work zones, and acceleration/deceleration. 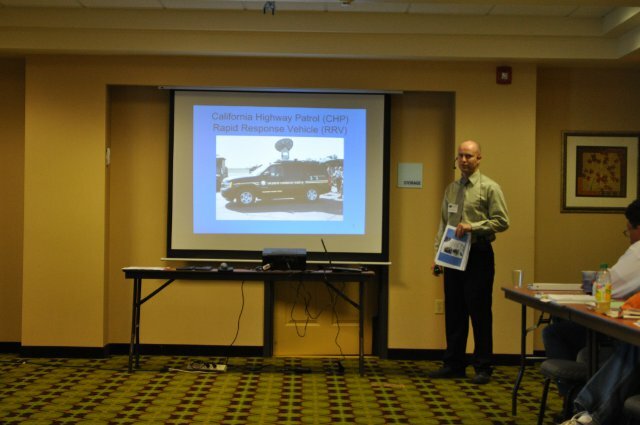 The Rapid Response Incident Command Vehicles (RRV) are the product of extensive research by the California Highway Patrol (CHP) into the disaster preparedness needs of the CHP. The RRV can deploy quickly, enabling on-scene control of multi-agency radio interoperability and bridging the communication gap between law enforcement and public service agencies. Mr. Batarseh and Mr. Guthrie had an RRV on-site and Forum participants were able to see it fully deployed and operational. 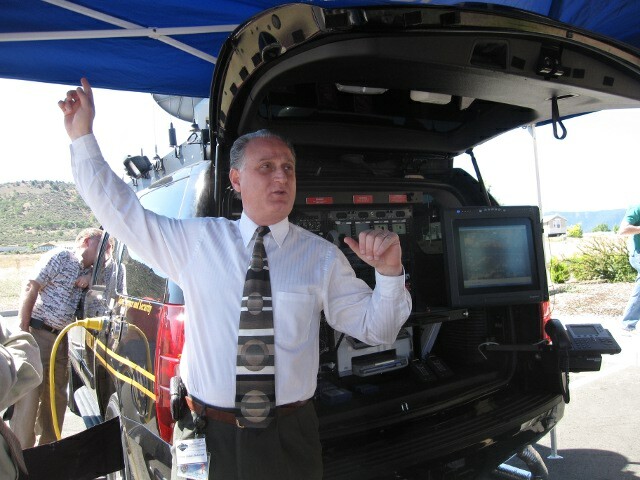 Batarseh and Guthrie showed and demonstrated the features of the RRV including the Intelligent Interconnect System, multiple frequency band radios, satellite based mobile communication, video downlink from aircraft camera system, and the different power source options, among other features.